Rome is for me one of the most intriguing cities that I have visited. For me arriving in Rome was a bit of a shock after spending time in London, Paris and Berner Oberland (Switzerland). Whereas the cities I've previously visited were organised and easy to get oriented with the city, Rome was a little more disorganised or confusing. However as you settle in to the way of life, it's hard not to fall in love with the city (especially the food). 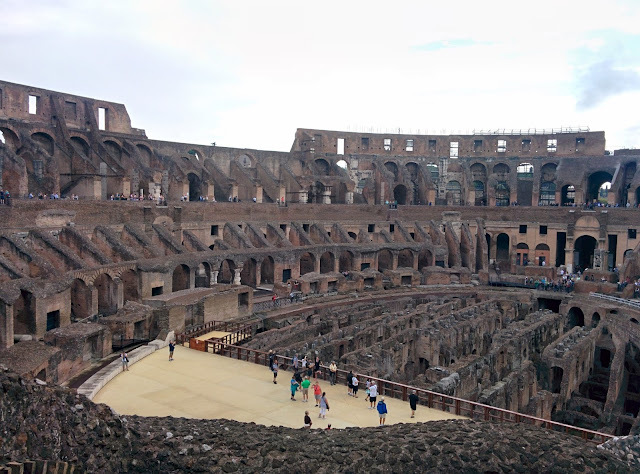 Here's some of the tips and lessons that I felt would be most useful for someone visiting Rome for the first time. A summary of my itinerary provided below. For more details, check out the relevant day's trip journal. 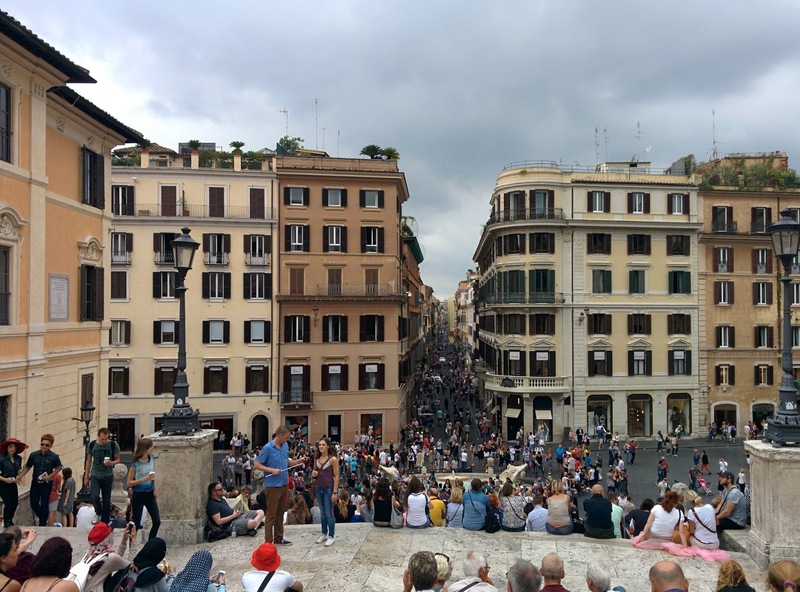 One of the biggest regret I had during my trip was not setting aside more time in Rome. I had basically only two full days in Rome, and in my opinion this is not enough to get a good taste of what Rome has to offer. I believe you need at least 3 to 4 full days in Rome to really enjoy what it has to offer (especially the amazing food that is on offer). 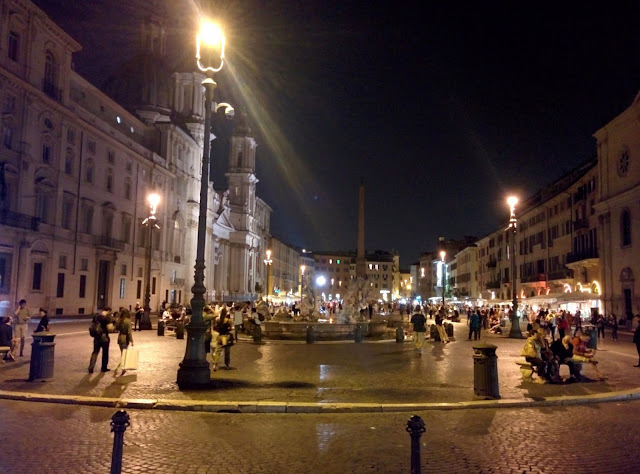 Whilst I was able to mentally hit the ground running when visiting other cities, Rome took a while for me to get used to, and just when I was starting to get the hang of how things work it was nearly the end of my time in Rome. If there was one city that I felt I had unfinished business, it is Rome, so I hope you do not make the same mistake I did and be more generous with your time in Rome. Another thing that really surprised me in my time in Rome, is how late dinner usually is, with dinner time not starting until about 8pm. If you normally have early dinner e.g. at 6pm, some restaurants may not yet be open. On the other hand, keep this in mind when you wish to eat in more popular restaurants, as it may be hard to find a table at 8pm, so you will have more luck by making an appointment or turning up before 8pm. Although the Vatican Museum is not included as one of the sights that the Rome Pass can be used for, the return cost of the train to Vatican was included in the Rome Pass. Amazing panoramic views at the top of the dome. A just reward for climbing 550 steps. 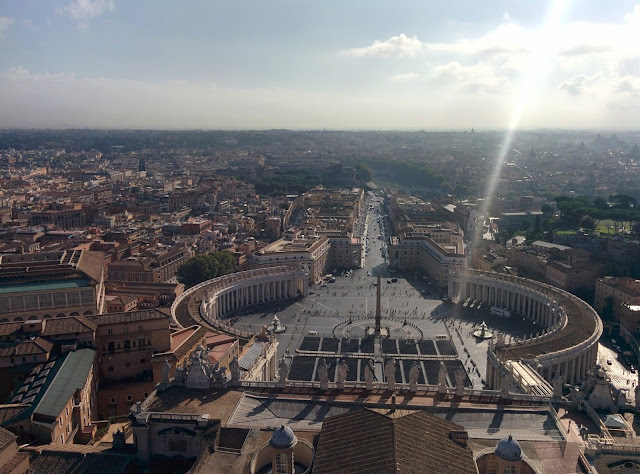 The entrance to the St Peter's Basilica may be free but the dome climb at 5 Euros is well worth it and was the highlight of my visit. The entrance to the dome climb can be found to the right of the basilica's main entrance and before you know it you will be climbing more than 500 very narrow steps to the top of the dome. The actual climb may not be very enjoyable, but once you reach the top you will be glad you made the effort. Pre-book your Vatican Museum entrance/ticket online and skip the very long ticket line. The entrance to the Vatican Museum is split into two lanes/lines (one for fast track and one for those waiting to buy a ticket), so make sure to use the correct one i.e. it's usually the one with no/smaller line but ask if you are not sure. Unless you are part of an organised tour, the Vatican Museum has no direct or shortcut route to the Sistine Chapel and you will need to follow a very long and tedious one way route with the crowd. If you are time poor, make sure you allow enough time to go through this one way route. When in Vatican, you will often be approached by tour organizers trying to sell you a tour by saying the only way to skip the line is by joining their tour. If you want the experience of having a tour guide, then by all means join them. But if all you are interested in is saving time in the lines, then plan accordingly by arriving early at St Peter's Basilica and pre-booking your ticket to Vatican Museum online. These tours helped me to get oriented and understand what I was looking at and helped me gain an understanding of the history behind the landmark. I would also recommend checking out the region guide book Rick Steve's Best of Europe 2015 or the city guide Rick Steve's Rome 2016 (Affiliate Link) as it was really helpful for planning and as a reference during the trip. Make sure to buy the latest version as some guide books are updated yearly. 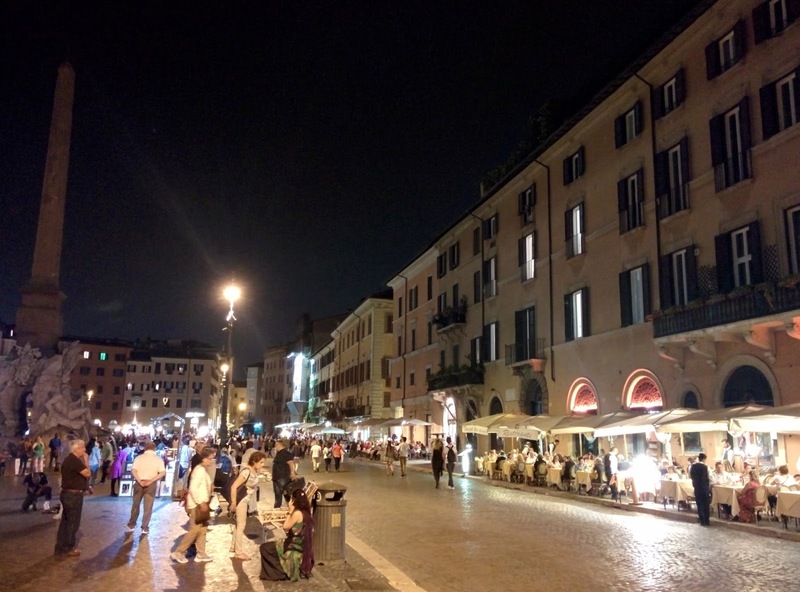 Eating and sleeping in Rome is less expensive than other cities I've visited e.g. Paris and Berner Oberland. Hostels like the one I stayed at called Dreaming Rome Hostel provided a warm and friendly accommodation at only 25 Euro per night. There are a range of street food, delicatessens, small restaurants that serve reasonably priced food. 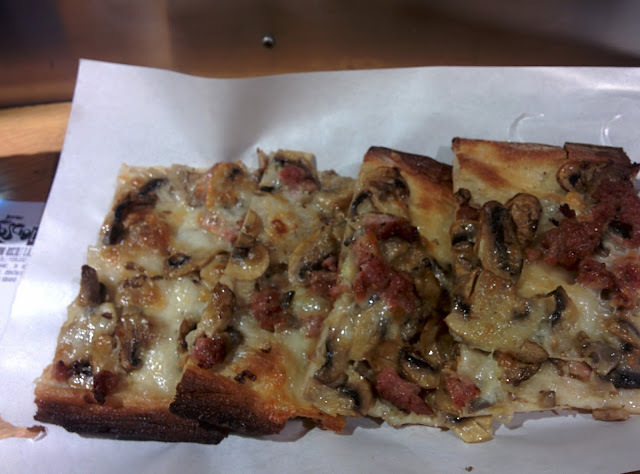 My favorite being Antico Forno Roscioli Restaurant which is a delicatessen that also serves freshly cooked pizza at reasonable price.